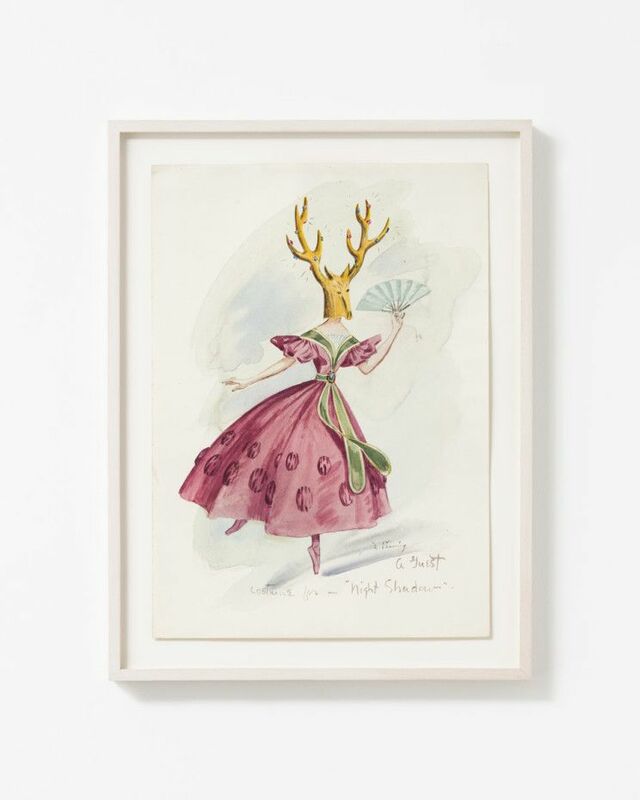 ​Alison Jacques Gallery presents a solo exhibition of rare ballet and theatre designs by Dorothea Tanning, dating from 1945 through to 1961, in the upstairs exhibition space. Last shown in a solo exhibition with accompanying catalogue at The Drawing Center in New York (2010), this body of work has previously not been exhibited in Europe. The series of ink, gouache and watercolour works on paper shown in London feature over twenty costumes and two set designs.